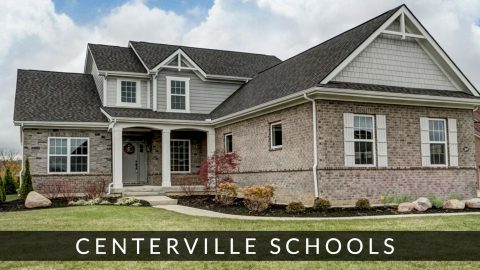 Located in Centerville, OH and Washington Township, you will be sure to experience The Spirit of Championship living. With pristine fencing and a gorgeous entry way, this community is sure to welcome you home every time you come back. With winding roads and ample space, you’ll be sure to really gain a sense of community. At Trails of Saddle Creek, you will enjoy a relaxing environment, while still being close to shopping and fine dining. In fact, Saddle Creek is just minutes away from The Dayton Mall, Austin Landing, and Kroger Marketplace. If you’re looking for a large, tranquil environment, Trails of Saddle Creek is where you want to call home. Directions: Take St. Rte 48 to Spring Valley Pike. Go east on Spring Valley Pike. Turn right onto Clyo Road and take Clyo Road to Saddle Creek Trail. Turn right onto Saddle Creek Trail.